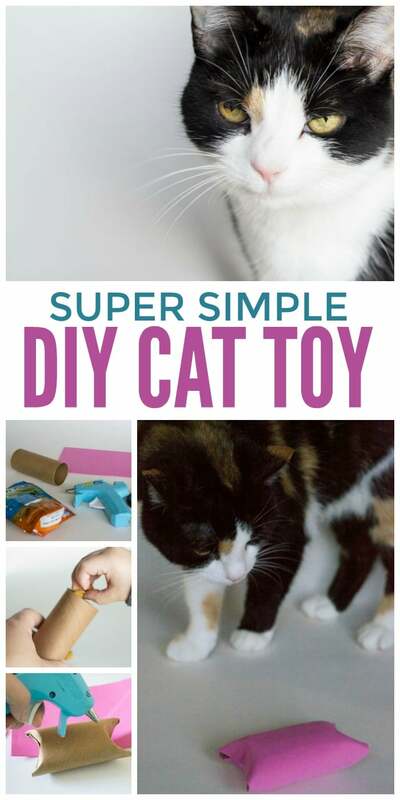 Our tips to include your cat this Christmas is a sponsored post by Lunchbox. Thank you, Lunchbox, for helping us share just how much our furry family members mean to us! 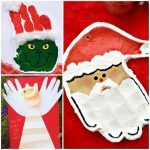 As you know, we love to include our pets in our Christmas festivities. In case you missed it, here are 10 great gift ideas for your dog. We adopted Rosie from an animal shelter in 2005. She was the runt of all the cats, but she tried so hard to get my attention! 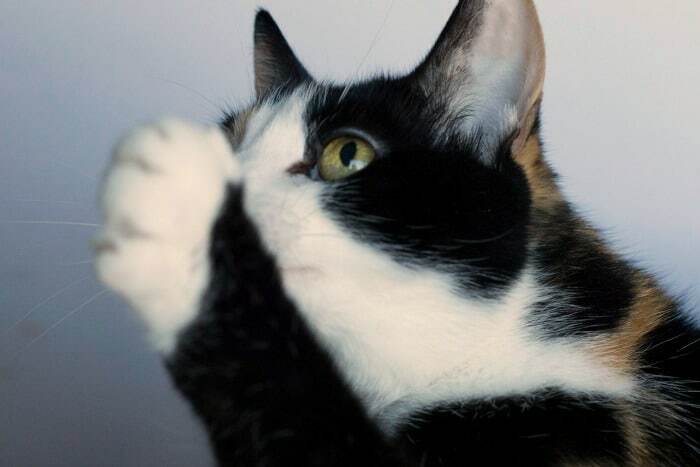 She pushed her paws through the cage to touch my fingers as I talked to her. I knew then that she’d be the next member of our family. We took her home that day, and we’ve loved her ever since! Of course, we want to include her in our holiday celebrations because she’s an important part of our family. 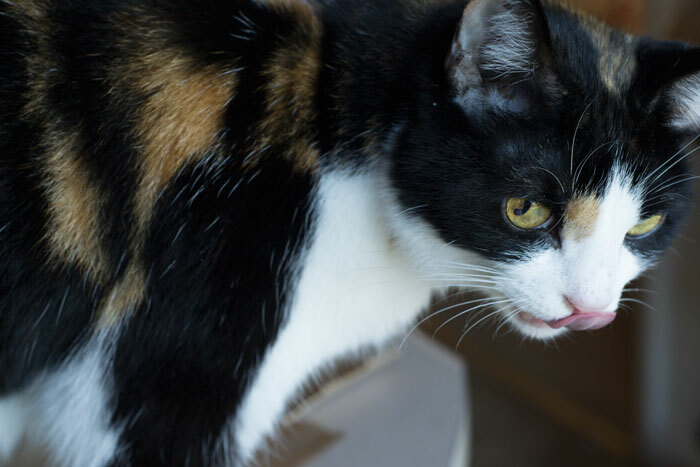 Here are our tips for celebrating the holidays with your cat. 1. Give your cat some one-on-one snuggle time. Sometimes we get so busy working, doing chores, playing with the kids, etc., that we don’t give our pets as much attention as we once did. 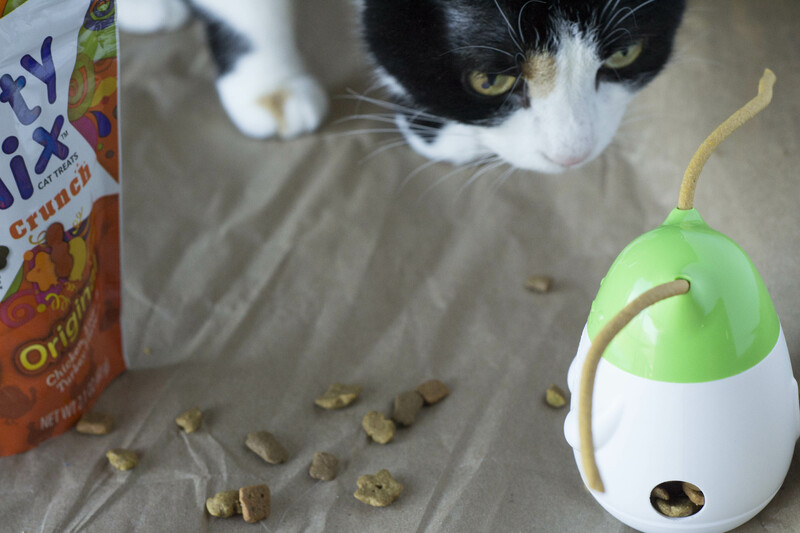 The greatest gift you can give your cat this Christmas is some undivided attention. 2. Buy kitty some treats or toys. 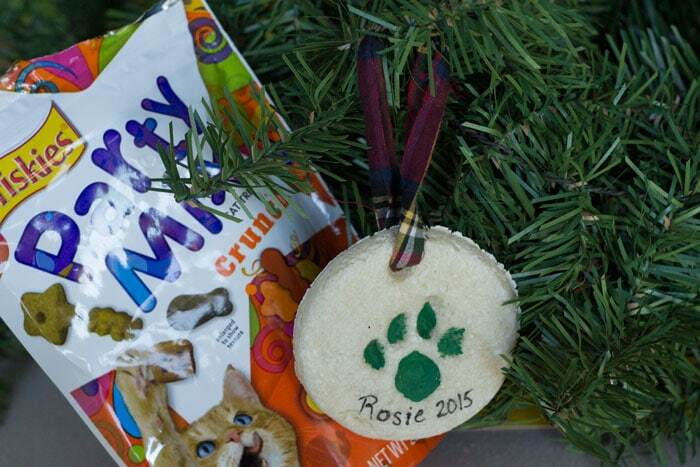 Rosie loved the Purina Party Mix and the Friskies Pull ‘n Play Tender Strings. 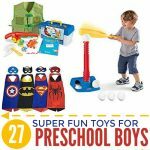 The Pull ‘n Play Tender Strings double as a toy and a treat; she loved chasing after them! As you can see, she thought the treats were quite tasty! 3. 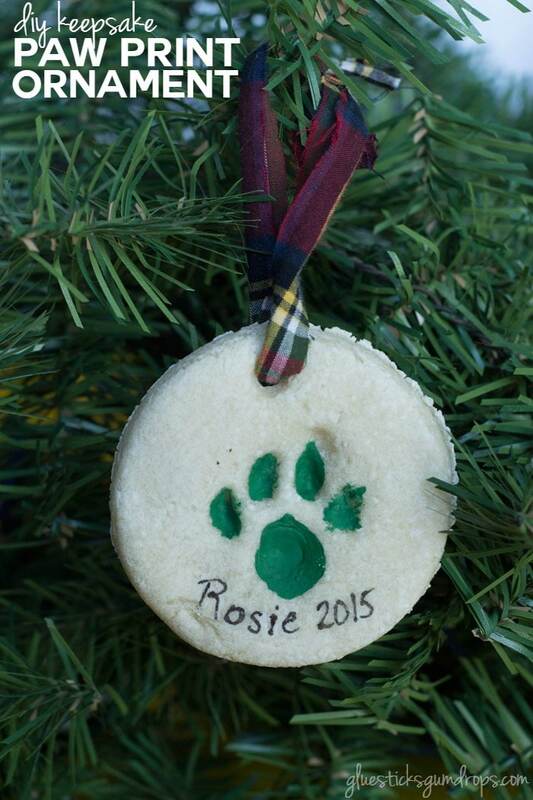 Make a keepsake paw print ornament to hang on the tree (instructions below). You’ll treasure the ornament for years to come! Combine the flour and salt in a large bowl. Whisk the dry ingredients together. Slowly add the lukewarm water, stirring until you get a firm doughy consistency. Sprinkle a flat surface with flour, and knead the dough for about 5 minutes until smooth. 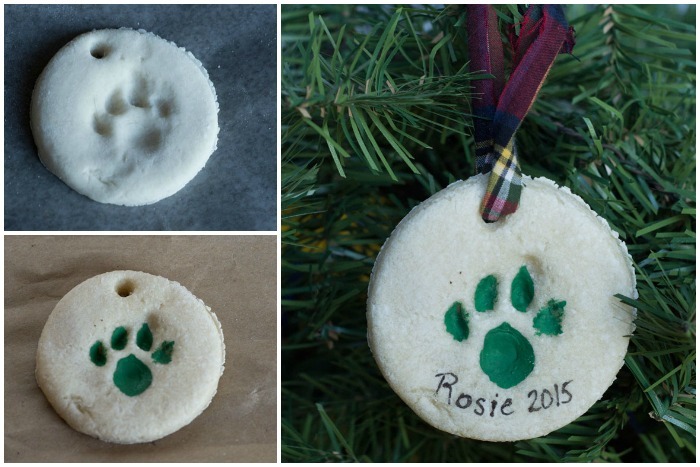 Follow the directions here to make your paw print ornament. 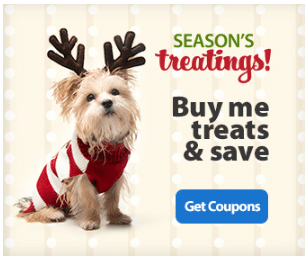 If tasty treats for your pets are on your Walmart holiday shopping list, click here or on the image below for $9 in coupons. The ornaments are cute. I’ve seen them for children but never for a pet before. 🙂 Rosie is a very pretty cat – being a runt doesn’t matter so much, I think, for indoor pets. We also had two older male cats, but she became the bossy fairly quickly, even though she was smallest. 🙂 Thanks for stopping by, Marie!